Terrell defeated Little Elm last night 33-7. 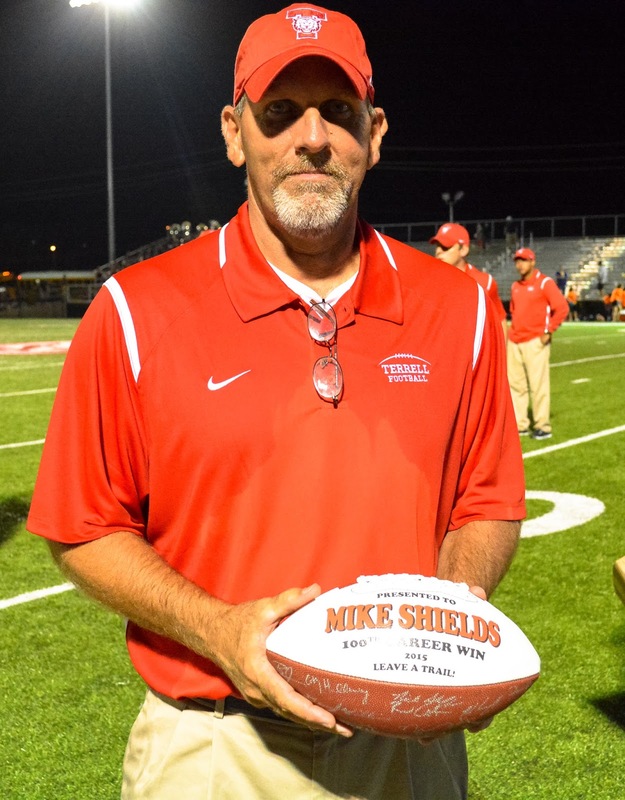 It was the 100 coaching with for Terrell Head Coach Mike Shields. Nine of those wins have come at Terrell. Coach Shields coached at Red Oak and Italy prior to coming to Terrell.